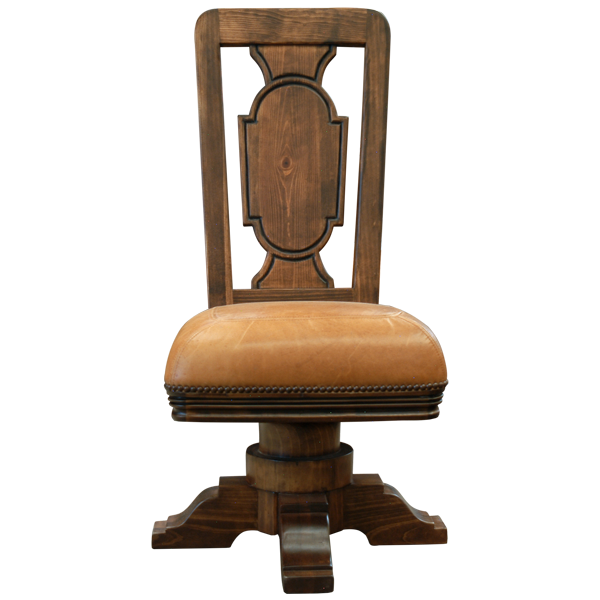 The combination of the opulent, tall seat back and the trumpet pedestal base gives this handcrafted chair a beautiful and unique profile. The chair is supported by a solid wood, hand turned, trumpet pedestal, with robust wood feet. 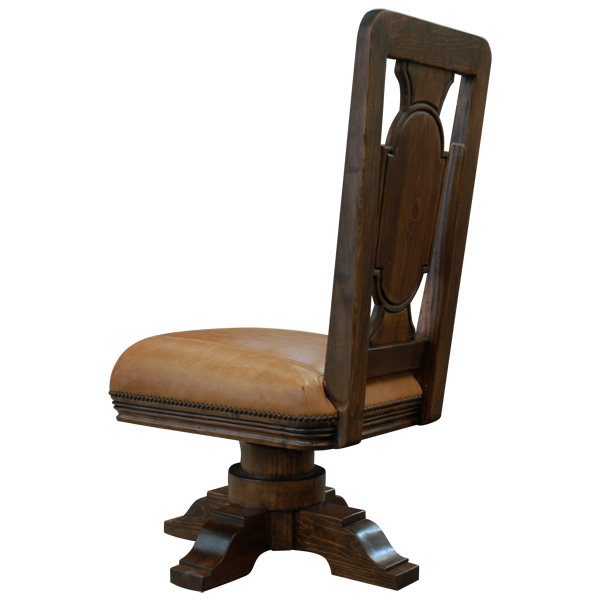 The tall seat back of this custom chair has a curved top rail with a single, solid wood, vase shaped splat, centered between gently splayed uprights. 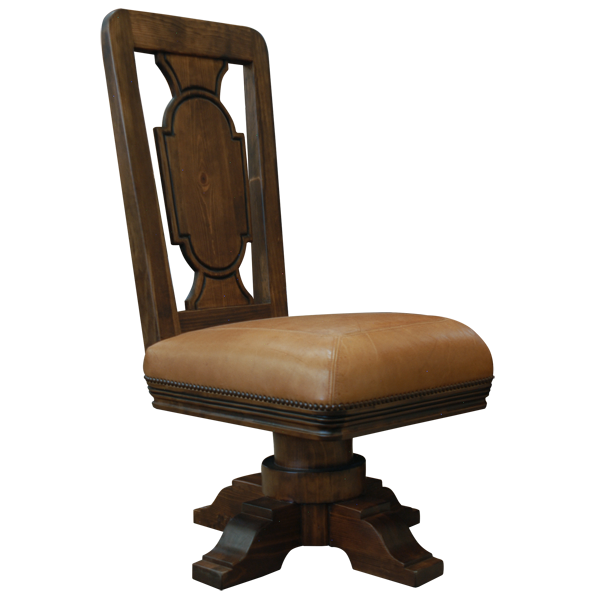 The padded seat is upholstered with embossed full grain leather. 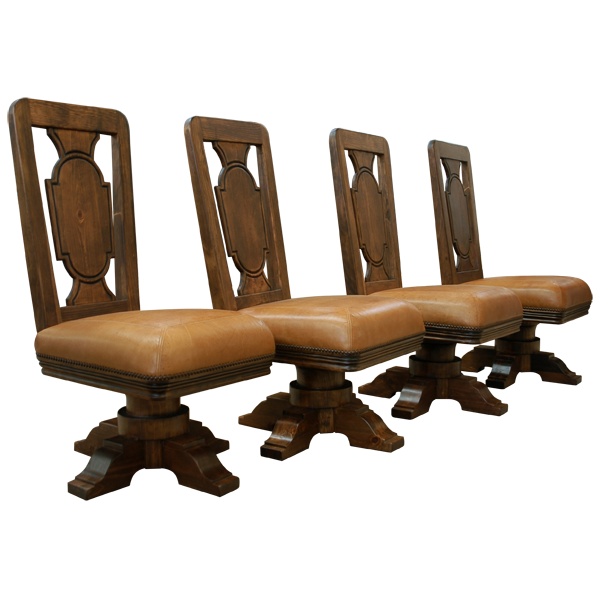 The leather upholstery is precision hand tacked to all sides of the seat with lovely, decorative nails. The chair is made with the best, sustainable, wood available, and it is 100% customizable.